Referred to lovingly by her fans as Samurai Girl, Michonne from the hit AMC series The Walking Dead uses her katana to slash and slay zombies. Now, you can have your own version of her famed sword with The Walking Dead Katana. Crafted from 1045 high carbon steel, this stunning sword features the shape of a classic Japanese katana. The aluminum alloy handle is wrapped in real leather and ray skin, with biohazard details that add an authentic apocalyptic touch. 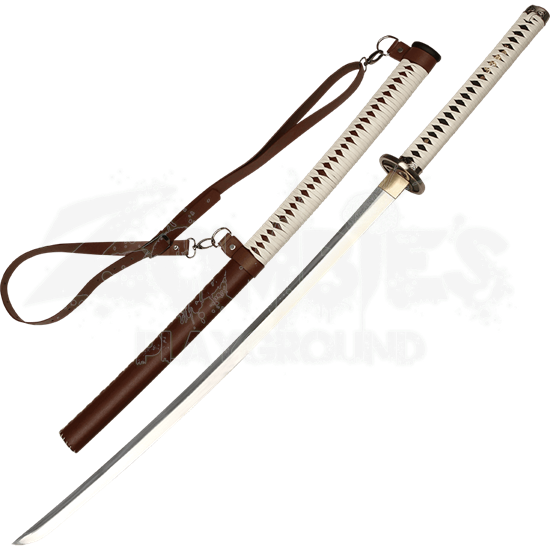 This katana also includes a shoulder strap and a sheath made from real leather, making it easy to wear and display. 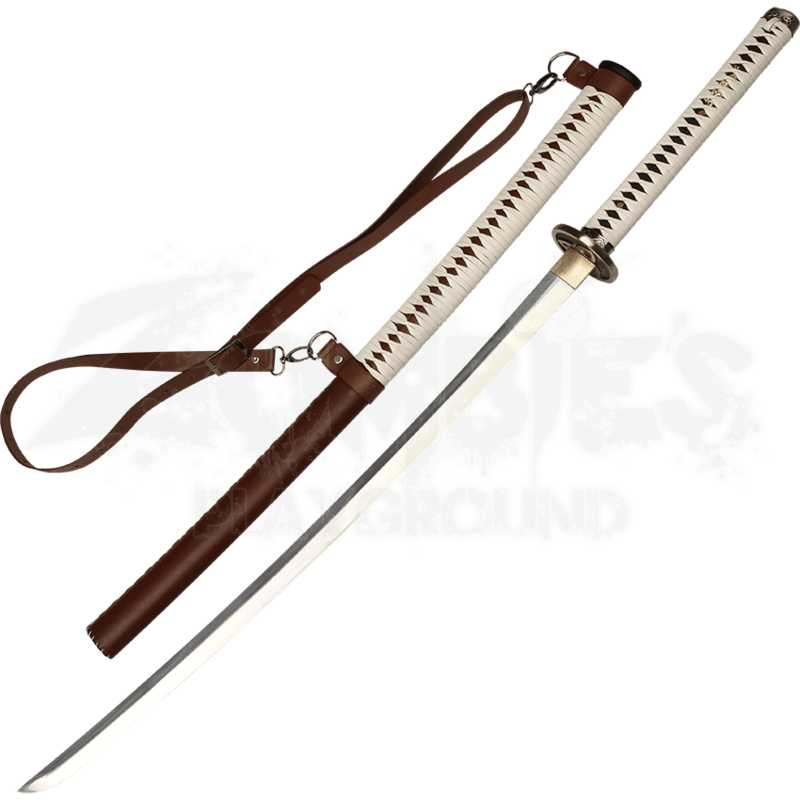 Whether you want to complete a Michonne cosplay or simply love the show, The Walking Dead Katana is a great item for any fan of this acclaimed television series.